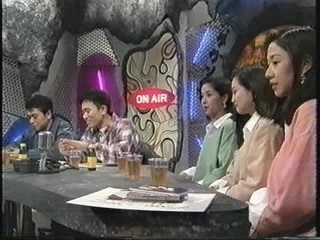 Guest: Ribbon pop group featuring Hiromi Nagasaku, Arimi Matsuno and Aiko Satoh. First single released 6 December 1989 and final album, before disbanding, 18 March 1994. Additional Segment: Solo stand-up comedy with female cast member Shimada Tamayo.